Originally conceived in the 1990’s, Advanced Healthcare Technology Ltd. (‘AHT’) was formed around the concept of a new lightweight solution to the problem of transporting neonatal infants safely in vehicles. As the norm, heavy full-featured ‘transport incubators’ were used, which due to their weight posed a significant threat to the safety of the infant patient, and that of the ambulance crew, in the event of an accident. 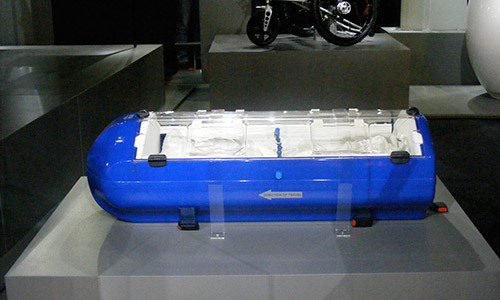 Using cutting edge technology in crash-survivable design, and incorporating new lightweight materials, AHT launched the ‘Baby Pod’ Infant Transport Device in the early 2000’s. 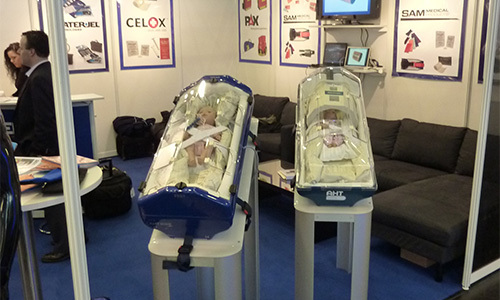 The ‘Baby Pod’ became AHT’s flagship product, and over the past 12 years since its introduction the Baby Pod has revolutionised infant patient transport, both by road and air, and is used daily in countries across the planet from the USA to Indonesia. Subsequent years have seen AHT expand on the original design of the Baby Pod, and apply the same principles of using the latest technology and materials with a focus on patient comfort and safety, to create a range of Pods to suit different safety requirements in the movement of infants. 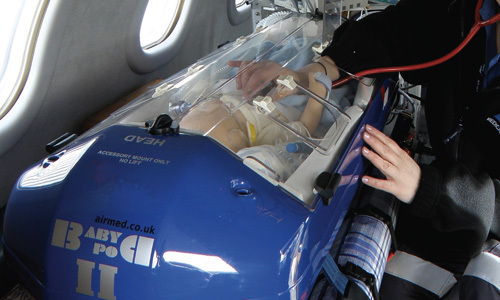 Introduced in 2012, the Scan Pod is an ‘imaging environment’, designed to incorporate MR/CT focusing coils within it’s housing to achieve the clearest possible imaging of neonates, while retaining control of patient ventilation and visibility. The composite construction of the outer shell allows for the Scan Pod to be used to house infants during MR/CT and X-Ray, and contribute no interference or artefacts to imaging output. The Evac Pod, launched in 2015, is designed for patient evacuation from the ICU in the event of a fire or natural disaster. With its positive-pressure oxygenated environment, the patient receives constant flow of breathable oxygen during evacuation, while keeping out harmful smoke and fumes. The Neo Pod (due Q4 2017) is a sister-model of the Baby Pod, providing all of the same benefits, but with further weight reduction and reduced internal volume due to its shorter size, is designed specifically for the transport of smaller neonates. Our focus is, and always will be, to design and manufacture the safest and most patient-comfortable environments in which to transport and diagnose neonatal infant patients. AHT aim to remain a leader in this area, providing the tools doctors, paramedics and firefighters need to safely treat their patients. For more information, or to ask us a question, please get in contact.